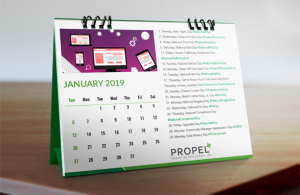 How Much Should You Spend on Marketing in 2019? 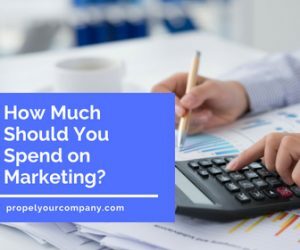 Did you know on average marketing budgets make up around 10-14% of total company budgets, with variations on by industry and how long a company has been around. With small businesses generally allocating closer to 7-12% of their total revenue to marketing (in this case, total revenue refers to all of the money generated through sales before expenses are taken out). That’s great for the “average company,” but what should you budget? And once you set a budget how should you spend it? 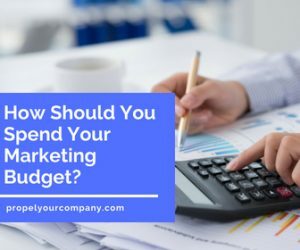 Need help figuring out what your marketing budget should be and how you should spend those marketing dollars; we’ve got the answers for you in this blog. Grab a piece of paper, pen, and calculator (or your nearest computer and jump into Excel) and let’s get planning!!! Here’s a quick guide to help you figure out what’s right for your business. Gross Revenue – Revenue received before any deductions or allowances, as for rent, cost of goods sold, taxes, etc. Estimated Revenue – Amount of earnings projected for a given time period. If there’s a big difference: go with the smaller number. Write this number down! You may need to ask your accountant or sales team for help to figure out this number. Step 2: Assess company size. Determine if you are a new company (0-5 years old) or an established company (5+ years old). New companies (0 – 5 years old): New companies should allocate 12-20% of gross revue to marketing. This is more than what established companies should assign. Why? Well, you’re the new kids on the block, and you need to make a name for yourself and your products/services. Marketing should be a key focus with companies that are just starting out. Established companies (5+ years old): Older, more established companies should allocate between 6-12%. Example 1: Company A has been in business for ten years, and over the past two years their average gross revenue has been $1,000,000 per quarter (or $4,000,000 per year). This means Company A’s ideal marketing budget should be around $60,000 – $120,000 per quarter (or $240,000 – $480,000 per year). Example 2: Company B is just getting started. The just opened their doors last week and have projected that they’ll make $25,000 per quarter (or $100,000 this first year). This means Company B’s ideal marketing budget should be around $3,000 – $5,000 per quarter (or $12,000 – $20,000 per year). Now you’ve got an idea of how much money you should be spending on marketing, let’s move on to how to spend those dollars. How should you allocate your marketing funds? The landscape for marketing is more complex than ever. How should you allocate marketing budget across channels online and offline? And, how should you spread out those funds across each of the various channels? Let’s look at how other companies are spending their marketing budgets. The average firm is expected to allocate 41% of their marketing budget to online this year, and this rate is likely to advance to 45% by 2020. Search engine marketing will capture the most significant share of online spend. Online display (banner ads, online video, etc.) takes the second largest percentage. 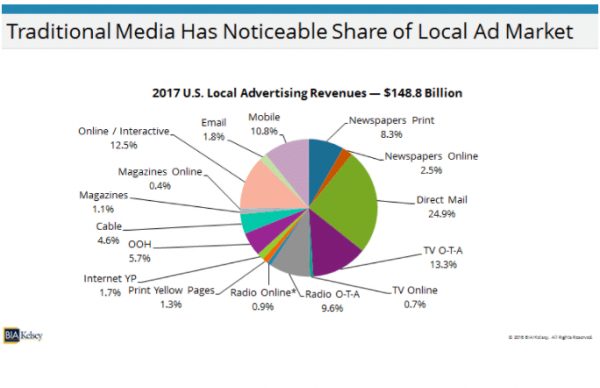 Social media advertising is expected to represent 25% of total online spending in 2018. Digital marketing is marching at an 11% compound annual growth rate between 2016 and 2021 with the most significant growth occurring in online video. Hanapin Marketing asked marketers how they plan to change their budgets in the next 12 month. Google AdWords, Facebook, Mobile, Bing Ad, and Instagram hold the prime spots. The industry average spends between $200 to $350 per day on social media. This average comes from an analysis by The Content Factory, looking at the cost to outsource social media marketing services. They found that $4,000-$7,000 per month was the industry average, which works out to the above per-day costs. Traditional Media is far from dead. 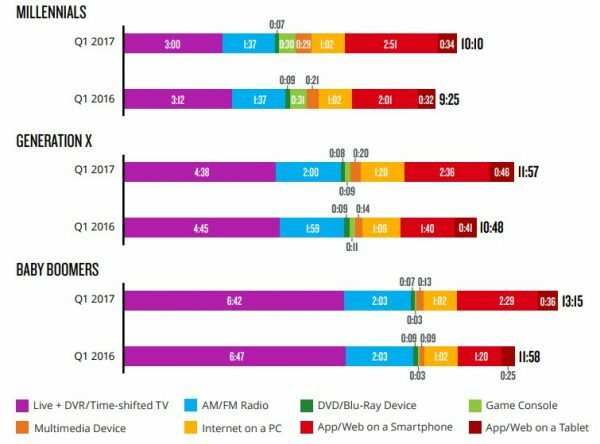 According to Nielsen Insights, radio (old school AM / FM radio) reaches 88% of Generation Z and 93% of Millennials each week. The amount of time spent listening to radio each day increases when you compare generations from youngest to oldest. Print claims 8.3% of local advertising spend according to BIA Kelsy. Billboard advertisements are still effective as well. A recent Arbitron study found that 71% of consumers ‘often’ look at roadside billboards and 56% of respondents say they talk to friends and family about funny or exciting billboards they see while on the road. You need multiple touchpoints to connect with a potential customer. On average a customer uses six touchpoints when purchasing an item. These touchpoints include both online and traditional. To get into the mindset of your potential customers, make sure that you’ve gone through and mapped out the Customer Journey to clearly define where you ideal touchpoints are both online and offline. What can you do to help make your marketing dollars go further? 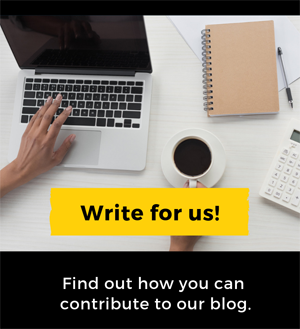 Go through the exercise at the beginning of this post to get an idea of what your marketing budget range should be. If you’re just starting out, it’s going to most likely take more time and money to make a name for your brand, so plan accordingly and realistic goals. Focus on what works best for your brand. 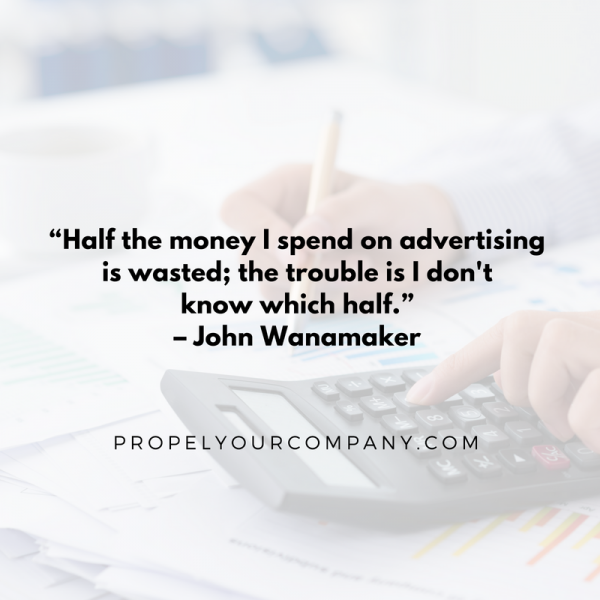 Don’t be John Wanamaker (quote above). Make sure your efforts are trackable so you can determine which advertising dollars are leading to actual sales. Social media might just be where your target audience is located, but that doesn’t mean your company needs to be on every social media outlet. Partnership programs and co-op marketing funds/activities are often overlooked. If you align yourself with other companies who have an extensive network that fits your customer demographic, it’s a great way to get in front of a new audience at half the price (or less) than marketing on your own. Meet your customers where they are. Yes, that means mobile and other technologies. According to Nielson.com daily time spent on mobile increased across generations — Millennials increased by 51 minutes, Gen X increased by 56 minutes, and Baby Boomers by 69 minutes. 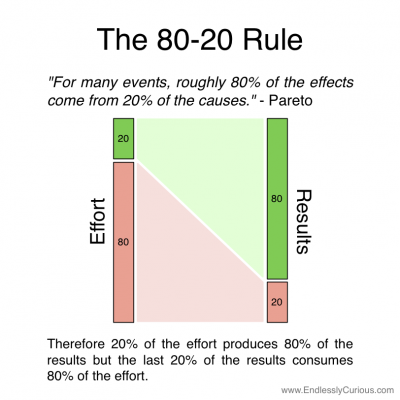 Use the Pareto Principle aka the 80:20 rule. While the exact proportions will naturally vary, this principle generalized that 20% of effort leads to 80% of the results. What does this mean for you? If 80% of your leads are coming from 20% of your marketing campaigns, focus on the 20% that’s bringing in the leads, conversions, and sales! Don’t scale up until it’s profitable. Any marketing campaign should be started small and then scaled up once it’s proven beneficial. Make sure your brand message matches across all marketing channels. Your marketing budget should align with your business goals. Make sure each campaign is tied to clear objectives. 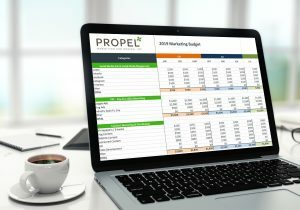 Set your budget, work your plan, but remember results might make you want to reconsider where your marketing funds go. So also be willing to make changes along the way. Stay on top of current and future trends, from social media to AI. Understanding of current and future marketing trends can also help you to navigate the budgeting process. 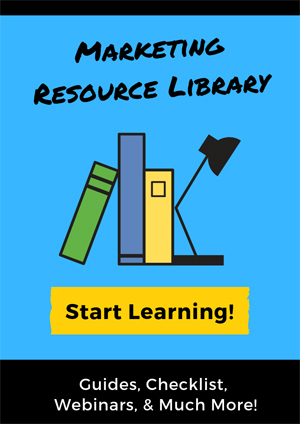 You need to spend what you think is right for your business: enough to get your company information out there, but so much that you go broke in the process. Setting goals and tracking results will help you get the best ROI (return on investment). 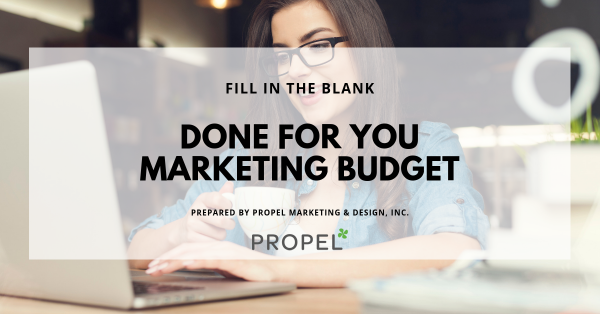 Download your FREE Fill in the Blank Marketing Budget!